A piece of paradisesubmitted by Anna B. - May 31, 2018 |Recommended: YesThis is the perfect place to stay for a single person or a couple who like a comfortable compact living close to the beach. Cedros Design District around the corner with cafÃ©, restaurants and design stores. The management is very professional and helpful. Lovely Home in a Great Spot and Super Managementsubmitted by John A. - May 11, 2018 |Recommended: YesElan Sandpiper in Solana Beach has lovely studios that all would cherish. In a supreme location next to the beach, you will surely love living at this spot. We lived here as a couple sharing the space together. The environment and floral arrangements are well kept and is up to date with a fresh atmosphere. The manager, Sandy made life possible for us with her warm welcome and always friendly willing nature to give care for the community and housing. Also, the community around is full of good energy and spirit that could really make everyday seem like a vacation. 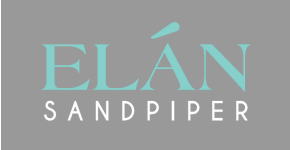 We recommend Elan Sandpiper to those in need of a special place and that could be your new home. A little slice of paradisesubmitted by Alison W. - Jan 05, 2018 |Recommended: YesWe love the location and setup of this apartment. We just moved from Asia so we are used to the size. Sandy is a great landlord and she goes above and beyond for her tenants. The location is perfect. It is super safe here. That is so important to us. It is warm and cozy in the winter and there is a great breeze in the summer, so the apartment is great with temperature. We love that there are lots of dogs around since we have a pug. It is a very friendly community. I think the 1 bedroom would be more ideal so we will look for that once our lease ends. It has more space and the extra room allows a private space. I feel my only complaint would be about the closet, it doesn't fully open because of the design. One side opens and then I can never get anything from the middle. Maybe this is how closets are in America but it is frustrating, it goes off of the line that rolls it all the time. We don't have a lot of space to store things so the closet is important. All and all we are having a great experience back in the states coming home to this apartment. The rent is a little high for a studio but I think we are paying for the location. We are happy here and feel safe, it is a great place to call home. So sosubmitted by Blake C. - Oct 23, 2017 |Recommended: YesThis place is good for somebody looking for an inexpensive place to live. There is no a c in my unit, and the building is a bit outdated. On the flipside of that, I really don't care because it is close to my work and I am close to the beach. This place is awesome for what I am looking for. Good Place to Livesubmitted by Muye Y. - Jan 27, 2017 |Recommended: YesI have no major complaints about living here, which is more than I can say to almost every other place I've rented. Sandy, the prop. manager, is super friendly and the neighbors are all pretty cool. The studio is pretty spacious for what it is, and the price is good for Solana Beach. Thank you for your help submitted by Angie S. - Jan 09, 2017 |Recommended: Yes I just wanted to say thanks again for everything you did to help me during my move out I loved living at Sandpiper.